OMAHA, Neb.--(BUSINESS WIRE)--The July 2017 Investor Movement Index® reading set a new all-time-high record of 7.09, a mere five months after passing 6.0 for the first time in the history of the IMX, TD Ameritrade, Inc. (“TD Ameritrade”), a broker-dealer subsidiary of TD Ameritrade Holding Corporation (Nasdaq: AMTD), announced today. The Investor Movement Index, or the IMXSM, is a proprietary, behavior-based index created by TD Ameritrade that aggregates Main Street investor positions and activity to measure what investors are actually doing and how they are positioned in the markets. July marked a historic milestone for the IMX as it crossed 7.0 for the first time ever, in part due to retail investors’ bullish activity. TD Ameritrade clients were net buyers for the sixth consecutive month, seemingly positioning their accounts for increased exposure through equities, such as Amazon (AMZN) and Tesla (TSLA). Over this same period, major market indices climbed to new highs – Nasdaq, S&P 500 and Dow Jones Industrial Average posted positive gains – earnings reports were positive with over 70 percent of S&P 500 companies beating analyst estimates, and the VIX touched an all-time low of 8.84. Investors who closely followed the markets in July may have seen these events as opportunity to stay engaged and potentially grow their portfolios. For a third month, technology stocks were among TD Ameritrade clients’ top buys. 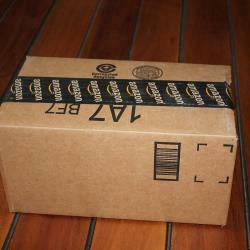 Amazon.com, Inc. (NASDAQ: AMZN) and Microsoft Corporation (NASDAQ: MSFT) were net bought, as each posted record highs, and Amazon CEO Jeff Bezos briefly replaced Bill Gates as the richest person in the world. 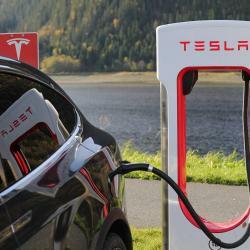 Tesla Inc. (NASDAQ: TSLA), which experienced volatility during the period as consumers awaited the release of the new Model 3, was also a net buy. Alibaba Holding Group Ltd (NYSE: BABA), which was said to be in talks regarding a funding round in Indonesia’s largest online marketplace, Tokopedia, was net bought. Consumer Defensive names Rite Aid Corporation (NYSE: RAD) and Costco Wholesale Corporation (NYSE: COST), each of which saw a pullback in share price during the period, were net buys. NVIDIA Corporation (NASDAQ: NVDA) was net bought after the shares posted an all-time high during the period. Additional popular names bought include AT&T Inc. (NYSE: T), General Electric Company (NYSE: GE) and Alphabet Inc. (NASDAQ: GOOG) (NASDAQ: GOOGL). Despite net buying, TD Ameritrade clients chose to sell select stocks during July. Nike Inc (NYSE: NKE) was net sold after announcing it was starting a pilot program to sell directly through Amazon and reporting stronger than expected earnings. Alcoa Corp. (NYSE: AA) and Arconic Inc. (NYSE: ARNC) were net sold, as each saw positive upward momentum during the period. General Motors Company (NYSE: GM) was net sold following a better-than-expected quarterly net profit, which was helped by cost cuts and a promise to cut production. Wells Fargo & Co. (NYSE: WFC), which announced its plans to refund over 500,000 auto loan consumers for improper charges on auto insurance, was also net sold. Twitter Inc. (NYSE: TWTR), which saw volatility late in the period after a poorly received quarterly report, was a net sell. Additional names sold include Caterpillar Inc. (NYSE: CAT) and Mobileye NV (NYSE: MBLY). The IMX value is calculated based on a complex proprietary formula. Each month, TD Ameritrade pulls a sample from its client base of 7 million funded accounts, which includes all accounts that completed a trade in the past month. The holdings and positions of this statistically significant sample are evaluated to calculate individual scores, and the median of those scores represents the monthly IMX. For more information on the Investor Movement Index, including historical IMX data going back to December 2010; to view the full report from May 2017; or to sign up for future IMX news alerts, please visit www.tdameritrade.com/IMX. Additionally, TD Ameritrade clients can chart the IMX using the symbol $IMX in either the thinkorswim® or TD Ameritrade Mobile Trader platforms. Millions of investors and independent registered investment advisors (RIAs) have turned to TD Ameritrade’s (Nasdaq: AMTD) technology, people and education to help make investing and trading easier to understand and do. Online or over the phone. In a branch or with an independent RIA. First-timer or sophisticated trader. Our clients want to take control, and we help them decide how - bringing Wall Street to Main Street for more than 40 years. TD Ameritrade has time and again been recognized as a leader in investment services. Please visit TD Ameritrade’s newsroom or www.amtd.com for more information, or read our stories at Fresh Accounts.